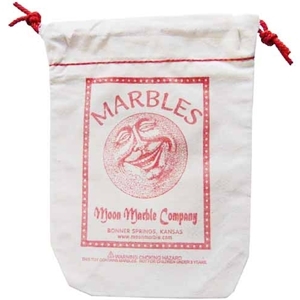 This big Moon Marble Company pouch measures 7 1/2 inches by 10 inches. It is made of heavy muslin with two red drawstrings. Made in the USA. Use these for your marbles or whatever you may collect.